CyberArk securely stores credentials which FlexNet Manager Suite uses to perform a secure discovery and inventory of hardware and software assets. 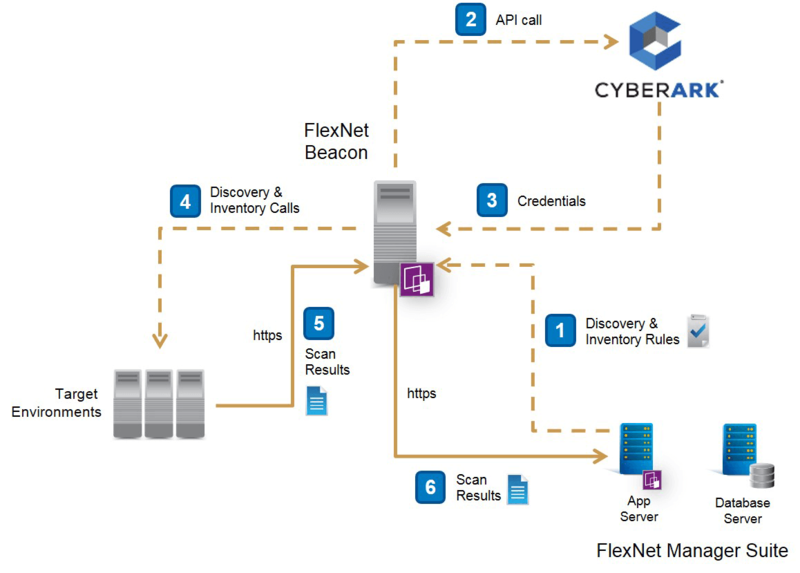 FlexNet Manager Suite requests credentials from CyberArk when it needs them. This allows a complete software and hardware inventory to be collected without compromising high security standards. The CyberArk Application Identity Manager Solution combined with FlexNet Manager Suite provides secure agentless software and hardware discovery and normalization capabilities for comprehensive asset management and license compliance.